Stubborn spots or stains ruined your carpet or rugs? Possibly not! You may be able to repair, rather than replace. True Eco Dry LLC has been repairing carpets that seemed stained, bleached and faded beyond repair since 2011. Carpet dyeing is also used to revitalize faded rug and carpet color. Our carpet dyeing process can make your carpet look bright and new again. 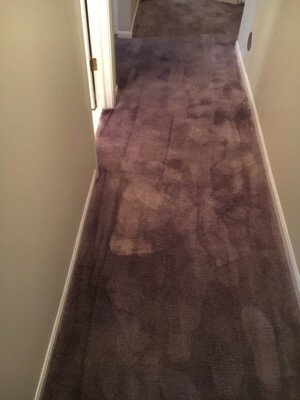 Once completed, your carpet color will be uniform and permanent. True Eco Dry LLC will first assess the type of stain or spot requiring treatment. Next, we will carefully match the colors as closely as possible. Last, our superior rug and carpet dyeing solution will be applied. In no time, you'll have a difficult time remembering where that stubborn stain had been!